An instant way to achieve fresh breath, aside from regularly brushing out teeth, is through using mouthwashes. Honestly, I never liked mouthwashes cause they sting. I always end up spitting it after three to five seconds which is such a waste and would probably be not enough to do the job. 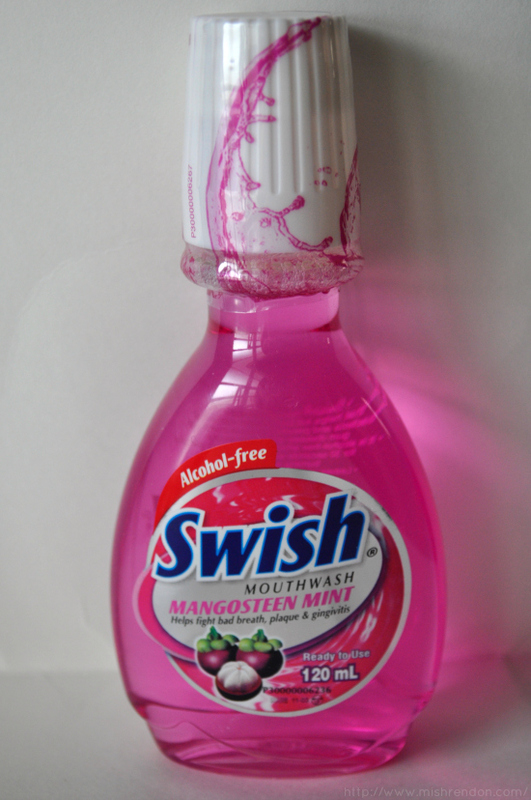 But anyway, I gave Swish a try to see if it has the sting that other mouthwashes have. Swish, an oral care brand of Innovitelle, offers alcohol-free mouthwashes and breath sprays that are healthy and safe to use by anyone. Their products have Surefresh Technology that kills bad breath causing bacteria, prevents plaque build-up, tooth decay and gum disease. The use of their products will effectively and safely give you long-lasting minty fresh breath. It is recommended to use the 20ml of Swish Mouthwash twice a day and gargle for 30 seconds to achieve best results. I tried the recommended dosage for the Swish Mouthwash and it was definitely tolerable. While I did not last 30 seconds gargling the mouthwash cause there's a little bit of sting (after all it's a mouthwash! ), I was able to endure at least 15 to 20 seconds of gargling. At first, it tasted fruity then the cool mint taste comes after. I definitely have to try the Icy Choco Mint variant! What I love about this mouthwash is that it is ready to use, unlike other mouthwashes that needs to be mixed with water. This comes too in several sizes to fit your needs (or your bag). The Mangosteen Mint variant has a minty taste which is just enough and not too strong. It is also safe to use everyday cause it's alcohol free! 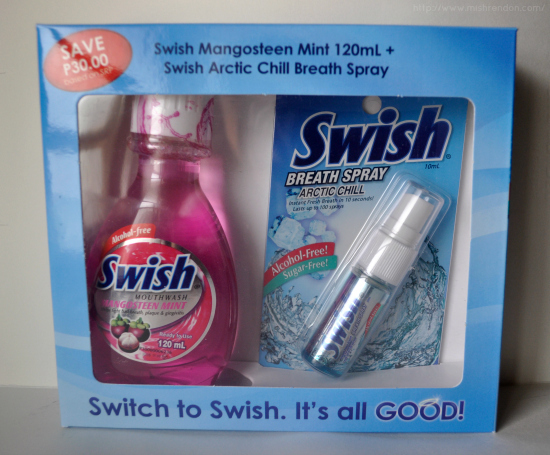 On the other hand, Swish Breath Spray is a convenient means of giving you an instant fresh breath. By spraying one or two pumps in your mouth, germs and bacteria in the mouth are quickly killed to eliminate bad breath caused by eating, drinking and smoking. It is alcohol free and sugar free, hence, it is also safe to use anytime. This one comes in Arctic Chill and Peppermint Fresh Variants. 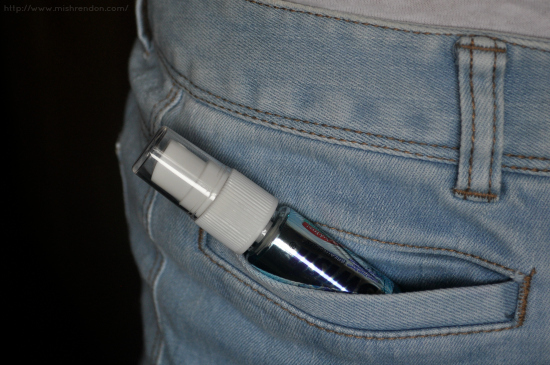 It is very economical since a bottle can last up to 100 sprays! 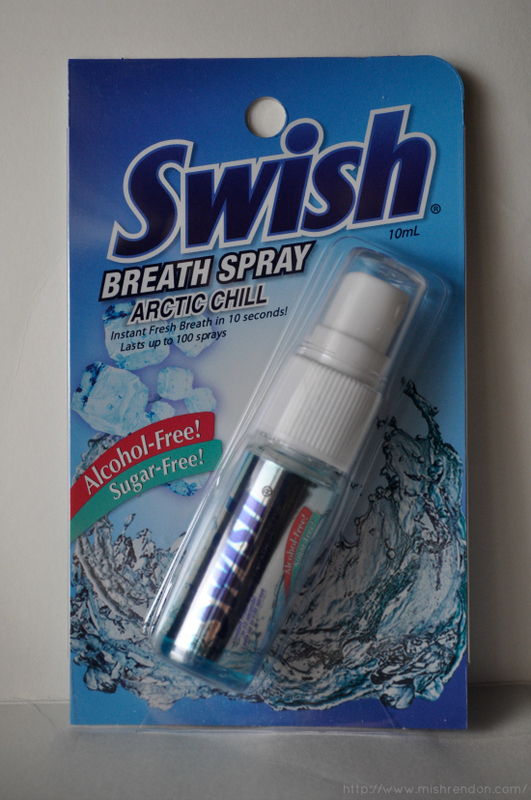 I was quite skeptical in using the Swish Breath Spray cause the variants were the ones with strong mint flavors. But I was quite surprised when I actually tried it, it does not sting at all. It tastes minty, but definitely not too strong. Any yes, my breath was instantly improved by using the Swish Breath Spray. I recommend this one to people who smoke. 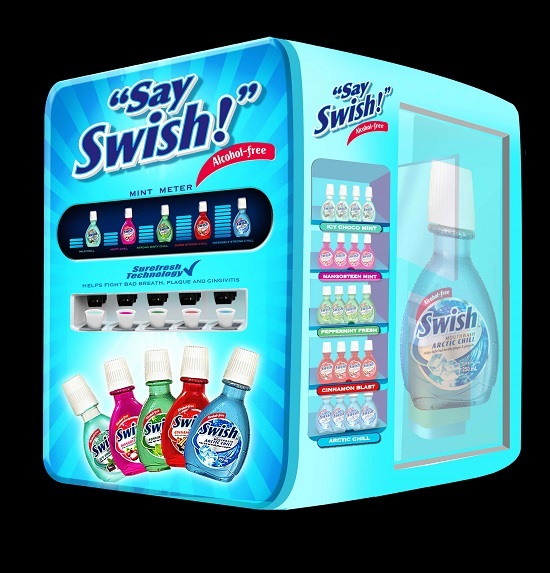 This year, Swish will be having several Say Swish booths deployed in leading supermarkets and drug stores nationwide where customers can sample the different variants of Swish with different minty levels for free at the Say Swish booths. With this, you could find the right Swish variant for you! You can also bring home freebies such as a free photo from our booth and other premium items when you purchase any Swish product. Swish products are available in supermarkets, drugstores and convenience stores nationwide. I wont lie, this would be so handy to have in college!